When it comes to choosing the right cereal people have almost limitless possibilities. Rather than feeling daunted by the task of choosing, consumers have the ability to make numerous low-stakes investments to find the cereal they like best. What’s the worst case scenario if you buy a box you don’t like? Throw it out and loose $4. What’s the worst case scenario if you trust your oral health to the wrong surgeon? Days, weeks, months, or years of pain? $100 to $100,000 in surgery and treatment? 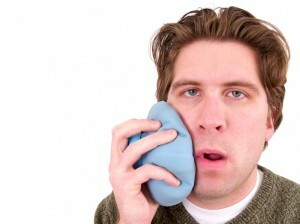 Choosing a Houston oral surgeon will never be as easy as choosing a box of cereal because the stakes are much higher. It’s worth investing the time and effort into learning more about local surgeons before you make a decision that could impact the rest of your life. Read on to get some tips on choosing oral surgeons from the professionals at Piney Point Oral and Maxillofacial Surgery, or call to schedule a surgical consultation today. How experienced is the surgeon? Even a surgeon with 30 years of experience may never have performed the procedure you need. There are several ways to determine whether or not a surgeon is skilled in the treatment you require, but it’s typically easiest to check the practice website for information about your surgery or contact the practice to ask directly. What have other patients said? Read the reviews. In the modern age of information, it’s easy to find non-sponsored patient reviews that can be very revealing. Look into whether an oral and maxillofacial surgeon is on-call with local hospitals or referred by emergency rooms to determine whether the surgeon is respected by his or her colleagues. Is the practice accommodating? This may seem like it should be a “perk” or “amenity,” but truly, an oral surgery practice should be passionate about patient experience. Check the location of the practice, parking, accessibility, hours of operation, etc. Additionally, find out whether the surgeon is on-call in case of emergency. While we all hope that post-surgical healing will go smoothly, if an emergency does occur it’s good know you can rely on your surgeon. At Piney Point Oral and Maxillofacial Surgery, Drs. Steve L Koo and Thomas M. Weil are here to help Houston patients restore their smiles. Our doctors are both active in professional organizations, on-call with local hospitals, and have extensive experience in all aspects of oral and maxillofacial surgery. Patients love us. One recent Yelp reviewer said, “I was referred to Dr. Koo by my dentist for my wisdom tooth extraction. I had my left side done by another surgeon a few years ago and that was not a pleasant experience. This time it was a breeze. The surgery took about 25 minutes with minimal discomfort…I’ve already recommended Dr. Koo to a colleague of mine.” Finally, we are dedicated to providing superior patient comfort and convenience. Our staff is on-call 24/7 for patients of record, and we’re conveniently located near the Piney Point Surgery Center. If you’re in need of a Houston oral surgeon, do you research. Then, call the team at Piney Point Oral and Maxillofacial Surgery, the best oral surgery practice Houston has to offer.